More builders, contractors and developers, and especially architects are realizing the benefits of incorporating natural stone into their building projects. Producing a product that outlasts the competition and looks good will almost guarantee referrals and repeated business. If an increase in clients is the result, then there is a new set of problems to handle. One in particular, is having a sufficient supply of product. Being able to have enough materials on hand to complete a building project could result in a faster completion of the build that will inevitably result toa quicker handling of other projects. The more projects a builder is able to complete, the more money he or she makesfor the company and his or her employers. So in other words, using natural stone as a building material has the potential to increase one’s profitability. There is no argument that natural stone tiles cost a little more than the standard linoleum, wood, carpet, or even acrylic and fiberglass that is used for lower-end project builds. However, natural stone tile has the versatility to be incorporated into almost any design. For example, while linoleum, carpet, and even wood may be used as a type of flooring, the acrylic and fiberglass are often used to line a tub or shower stalls and sometimes even as a backsplash for the kitchen and bathroom. Stone is a tougher, more durable mineral. Most are water-resistant. This makes them perfect building materials for damp environments such as kitchens, bathrooms and especially in humid regions like some of the southern states. Marble – Marble is a type of limestone that undergoes a metamorphic process deep within the earth over a period of years caused by a great amount of pressure and heat from the earth’s core. As the limestone melts, so do the other sediments around it. Once it cools, the limestone along with it’s neighboring sediments recrystallizes forming into a slick marble. This type of natural stone can be installed as a type of flooring, backsplash or wall covering for any build, especially in those wet environments. Limestone – Limestone is another kind of metamorphic rock that is formed from the sediments of the earth along with fragments of marine life like mollsucs, coral, and forams. Because of it skeletal marine components, limestone is a durable rock that can also be used as a reliable, long-lasting building material. Travertine – Travertine is a bit more porous type of stone based on the way it’s created. Unlike a metamorphic rock, travertine is formed through the calcium-carbonate build-up in mineral and hot springs. This type of stone is best used for outdoor flooring, but can also work as a wall covering. Coral – Coral is a type of travertine coveted for its resistance to the elements. It can withstand rain, heat, and cold from temperatures up to -40 Fahrenheit. This is the most sought after material for outdoor builds and decorative facings for fireplaces. The coral stone tile is still a versatile mineral as it can be seen in builds like columns, balusters, cornices, terraces, staircases, and corridors. It could be said that contractors are invested in a steady stream of business. The best way to attain and sustain this is to keep each client happy. In order to achieve that, exceptional service must be rendered. One way to accomplish good customer service is to simply provide it in an efficient amount of time and if at all possible, exceed the customer’s expectations. The chances of a client walking away from a building project happy decreases when deadlines aren’t met. It’s true that when it comes to construction, nature can play a serious factor in determining whether a building project will meet its deadline. However, there is another important factor that exists—one that canbe controlled. It is the amount of inventory that is in stock. Having to order natural stone materials on demand is a risky business move. Presenting a catalog of options to a client that isn’t readily available can result in loss of business. To avoid this, find a good wholesale distributor, one that can ship out supplies at a moments notice without any shipment delays. This is important. Don’t go through the pains of browsing a wholesaler’s catalog only to discover that only certain professionals qualify. Most wholesalers don’t sell to end-users because they typically don’t buy enough. If they did, then they’d most likely have to increase their unit price along with the shipping surcharge—one that could very well match the cost of the actual shipment. In this case, it just doesn’t make sense for wholesalers to distribute their product this way. Plus, they wouldn’t be wholesalers. They’d be just like the super hardware stores in the shopping malls. Nalboor Tiles located in Miami Florida only sells to architects, developers and licensed contractors. This is because they are in the business of selling their natural stone tiles in bulk. Professionals such as these are most likely to purchase a large quantity of tile because the scope of their business calls for it. As a result, Nalboor can offer a reduced unit price depending on the amount of natural stone that is ordered. A good wholesale distributor will allow their customers to obtain a free sample of their natural stone. A wholesaler that is willing to give away free samples has confidence in their product. This is the kind of distributor to trust with your natural stone tile supply. 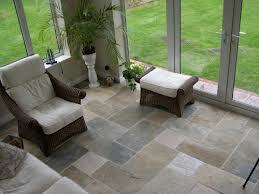 Nalboor Tiles, has an extensive catalog of natural stone tile selections. In addition, we offer a wide range of building materialslike mosaic, engineered, and porcelain. Take a look at our online catalog here. If you have any questions regarding other types of natural stone tile, or obtaining free samples, call Nalboor Tiles at 1-305-501-4548. Our offices are open Monday – Friday from 9am – 5pm EST or visit our website here.